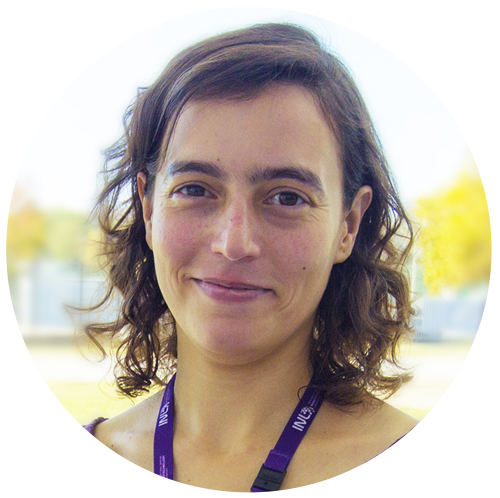 Dr. Lara San Emeteiro graduated in Physics from the University of Oviedo, and left Spain to do her thesis in England at the University of Leeds, where her research was a study on domain wall motion in perpendicular magnetised wires under the influence of a field and current. After, as a postdoc, she went to Cambridge University to develop superconductor devices for single photon detectors. She then moved to Grenoble in France to do a postdoc on magnetic tunnel junctions for MRAM applications. The research project is about the controlled generation, propagation and detection of spin waves by the use of magnetic tunnel junctions (MTJs). There are several ways for the generation and detection of spin waves in literature but they are difficult to integrate into devices for applications. By using magnetic tunnel junctions we aim at having an all electrical control of the spin waves at the nanoscale, with an increase in the detected power signal. MTJs also allow dc-rf rectification, meaning they can act as spin wave transducers. The plan is to grow the materials by sputtering and fabricate the devices in the INL cleanroom then electrically and magnetically characterise the devices in the lab by the use of a vector network analyser and prober station. As part of INL outreach activities, during two days in September we had what was called the open house, this was a way to show the people from Braga and surroundings what we do at INL and how it is useful for society. We had an attendance of over 2000 people and we had stands with easy experiments and demonstrations showing all the subjects of research performed at INL. We, all of the INLers, participated in our respective subjects, I as part of the spintronics group participated in two stands, one where we showed how nanodevices are fabricated and in another where we showed the application of one of our devices fabricated in the lab used as part of a final product. I had a very nice time and I love being able to explain science to the general public, it is a great experience and it is nice to see the reaction of people when they see how we work and what we do and they understand the experiment. This was as well a good time for other INLers to see what other researchers work on, since INL covers a large range of subjects from biology, chemistry, food science, physics…….. which are very different from what one specifically research on a daily basis, giving us the opportunity to interact and learn something different. The open house was a very nice experience and something we all enjoyed and I hope it will be repeated.